We're thrilled our son goes to Lane Tech in the LTAC Selective enrollment jr. high and will be there through high school as well. 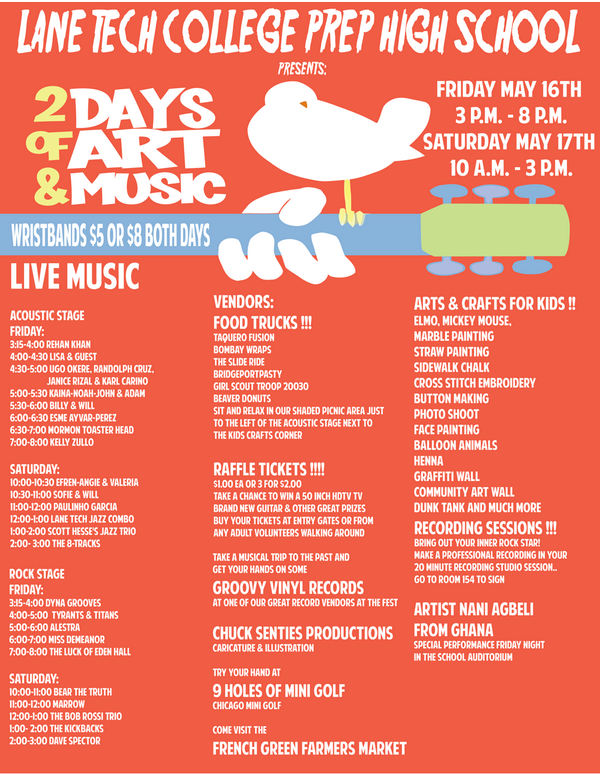 Come by and check out their Art & Music Fest TODAY Sat 5/17. This isn't just a school show. There's family friendly fun with arts and crafts for kids, loads of live music from students AND well known professional Chicago musicians, food trucks, mini golf, a farmers' market and more!! Our friends in The Luck of Eden Hall headlined Friday night! Check out our past TLoEH video interview & live show shots here. And Dave Spector headlines Saturday! !